Do317: How has the tour been going? Black Milk: It’s been great man, ‘cuz I’ve known these guys for 10 years. We’ve been touring together off and on the whole time, so it’s great to work with people that you feel chemistry with over the years and we all speak the same language musically. So, it’s great because of that. Do317: If I’m not mistaken on Fever (new album) you worked with 3 of the biggest drummers on the planet – Questlove, Chris Daddy Day and Daru on the album – how were they different in style, the way they worked, so on and so forth; what did they each bring to the table? 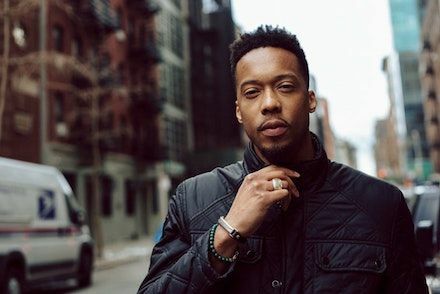 Black Milk: Chris Daddy, he played percussion on two tracks off our latest: ‘Laugh Now Cry Later’ and ‘Drown.’ Daru, he played drums on ‘True Lies,’ played a little bit of drums on a song called ‘2 Would Try,’ and he played on the intro. Whatever the name of the first song is, I can’t think of it right now. Oh yeah, ‘unVEeil.’ And Questlove, no, he didn’t play anything for the album. You build relationships over a period of time. I’ve known Daru for a long time, since like 2008, that was one of the first times I met him, so he’s played on some of my earlier stuff. I’ve been kicking with Chris a lot lately, for the last couple years since I moved to LA, you know, he lived out there as well. It’s just one of those things, having the right relationships and friendships, and when it’s time to work and if you need them to come play on some stuff, they come through. And if they need me to come through, I’ll play or do anything, whatever they’re working on I’ll return the favor. Do317: How does Fever differ/compare to past releases and what was the thought process when you first started getting the inspiration for this album? Black Milk: The initial thought process was to try to make like a feel-good album. Because compared to my previous albums, my last couple albums, were a little more dark or on the darker side. So, I wanted to make more bright sounds and colors and choral progressions, which I feel like I kind of did for the most part. What I’ve been saying in a lot of interviews, when I start making an album, during writing time, a lot of stuff is happening, the country has a lot of social issues from politics to stuff that’s happening in the world in general, and it kind of affected my writing process a little bit. To give somewhat of a perspective of how I feel about a lot of stuff that’s happening in this era. So, in the contrast of the lyrics being a little more heavy, but the production happy, more of a feel-good vibe to it. That’s how I thought it would feel, basically tie the records into living in the era, or living in the time where the temperature feels like it’s really high, where everybody feels like they’re on edge, just uptight about a lot of things that are going on right now. Do317: You’ve worked with such names as Jack White, Quest, Black Thought, Robert Glasper, Dwele so on and so forth. What do you learn as both a musician and a producer from people like that? How has it affected the way you work? Black Milk: Oh man. More so, I’m humbled that they even want to do something with me because you look at all of those guys. It’s like anybody that’s a trained musician or has a knack in comprehension of music theory, that’s like so dope, that’s something I really don’t have. I, mean, I understand theory a little bit, but not on that level. You know, I wasn’t taught or didn’t go to school to have formal training or anything like that. When I get in the studio, I get a chance to work with people that are on that level, and like I said it’s an honor. I can be doing something from a hip-hop standpoint or a beat standpoint that they dig. Looking at them as like actual musicians, it’s just cool. That’s all I can really say. I’m jjust honored. Do317: What were some of the most important things you learned from J. Dilla? 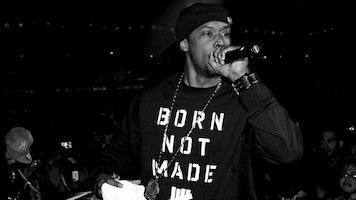 Black Milk: I did a few records with Dilla, off and on. He used to come around to the studio that I used to work at during the beginning stages of my production and career. It would have been great to sit down with him for one-on-one, but mostly everything I’ve learned about production and music in general has just been ears. It’s really just listening hard to what I like and what I love, and trying to figure out how to capture those feelings. Do317: How did growing up in Detroit affect your music? Black Milk: Being an artist and a musician, I wouldn’t want to be from anywhere else. I feel like I’m from a place that I feel has the richest music history in the world. When you grow up in that environment and tradition, you feel like you have that legacy, and that’s pretty exciting. You feel good to do something to hopefully be associated with someone great that came before you. So, yeah, I love that I’m from Detroit. I love that I’m from the scene, not only just for the hip-hop or the soul stuff, but there’s so much great music, from the electronic scene, to the rock scene, to all of that. Not only the hip-hop scene. It’s just dope, man. I take pride. Do317: Put together your wish list of musicians you’d love to work with in the future. Black Milk: Man… Who haven’t I worked with yet? It would be dope to work with a person like Cory Henry, he’s just a super dope musician. I really enjoy what he does. Sharkey [Isaiah Sharkey], crazy guitarist, he plays with D’Angelo’s band. MonoNeon would be another one, he’s an incredible bassist. For more information on Black Milk, visit his website http://blackmilk.biz/.